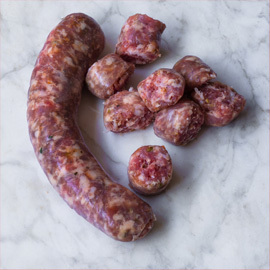 Tip can be removed easily from it's casing in order to form sausage patties, delicious! 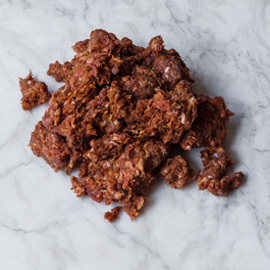 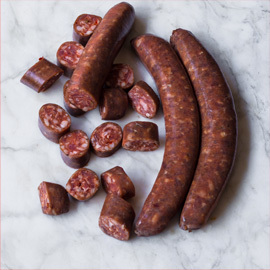 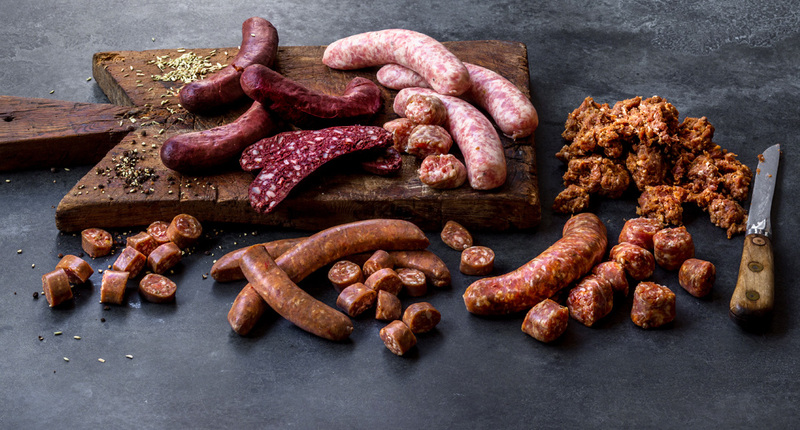 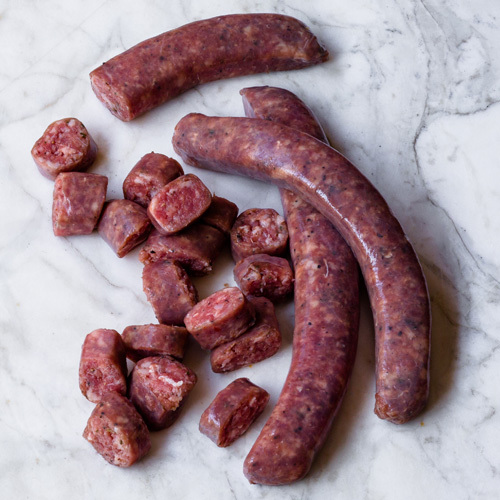 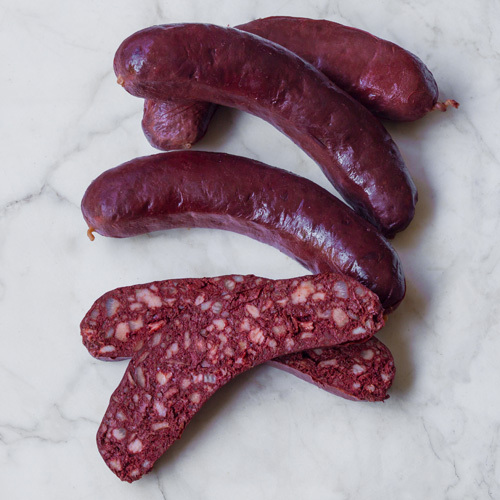 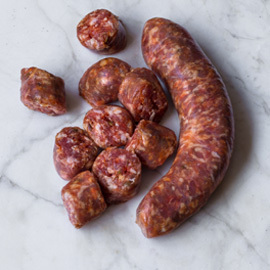 Originated as a way for farmers to make use of extra trimmings, this sausage quickly became a staple of the American Diner.A pork sausage seasoned with white pepper and sage for a delicate flavor to accent your breakfast spread. 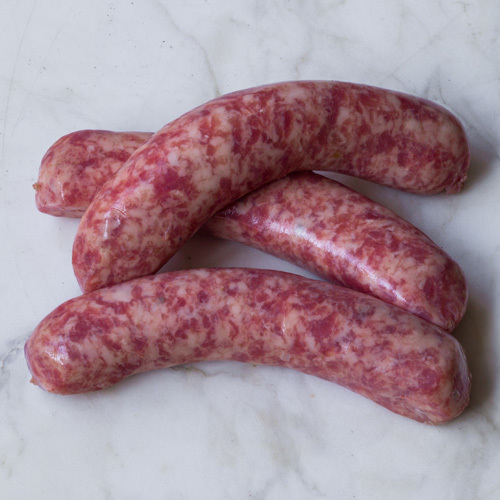 Add a little bit of maple syrup to glaze your links in the pan for a salty sweet touch.